Home » Our Doctors » Jeff Marlatt, O.D. Dr. Jeff Marlatt, OD practiced in the Aurora and Parker area from 1999 to 2004. 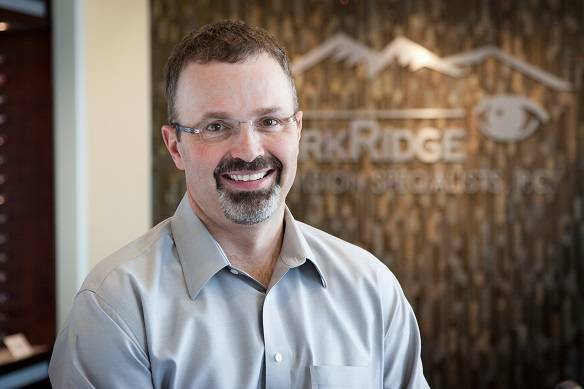 He opened ParkRidge Vision Specialists, P.C. with his wife, Michelle Sancho, OD in December 2004. He specializes in difficult to fit contact lenses including dry eyes, Keratoconus, post-LASIK/RK/PRK, Aphakia, corneal transplants and CRT (Corneal Refractive Therapy). Doctor Marlatt is a competitive shooter and sports enthusiast who understands the need for precise vision and good hand-eye coordination. He is an active member of the Colorado Optometric Association, the American Optometric Association (AOA) the National Sporting Clays Association and the Colorado Sporting Clays Association.